We did it again! For 22 years running, Publix has been named one of Fortune’s 100 Best Companies to Work For. We have made this list since its inception in 1998, and that is no coincidence. This recognition has been made possible because of the culture our associates have cultivated, along with their positive responses to an anonymous survey and Culture Audit questionnaire. Our CEO, Todd Jones, is honored that Publix received this recognition. Follow us on Instagram @publix.careers to watch our story and see his special thank you message to all our hard-working associates. Interested in working for one of the nation’s top employers? Are you looking for a career you will love this Valentine’s Day? Look no further! We are continuously growing, and always looking for additions to the Publix family. For employment in one of our store locations, visit our Careers page to learn how to apply. To find out about current openings in our corporate office, manufacturing and distribution centers, start your search online. Not sure where you fit? Try our Job Match Tool. There is something for everyone, and plenty to love about Publix. Happy Valentine’s Day! Publix is honored to again be named to Fortune’s Best Workplaces for Women. We’re honored to be among the 100 companies on Fortune Magazine’s Best Workplaces for women in 2018. We are doubly honored that this recognition is based in large part on the extent to which our female associates feel about our workplace and their ability to reach their full human potential. This video shares the story of Shannon, one such woman who has, literally, grown up in our company and whose career has grown through newly created positions at each step of her journey into leadership here at Publix. Though Shannon’s story is unique, she reflects on an important theme here at Publix: career opportunities abound and you can embrace them and grow here. Are you attracted to the idea of working for a company in which you are treated with fairness and respect? A company invested in you because you are invested in it? In which opportunities abound? Visit our Publix Jobs Center to search for openings in our support areas. If you are a people person and like the fast-pace of a retail career, learn more about our in-store careers here. We’re proud to announce that we’re ranked among Fortune Magazine’s Best Workplaces for Millennials list – for the third consecutive year! Millennials gave Publix high marks as an employer on more than 50 different metrics defining great workplaces – such as managers’ competence, respect and fairness in the workplace, opportunities for meaningful work, and great colleagues. To determine the ranking, the Great Place to Work Institute™ surveyed 434,000 millennials at companies that have been certified as a Great Place to Work. Millennials currently outnumber Baby Boomers in the workforce – both here at Publix and nationwide. And while our benefits are meant to appeal to people of all ages, here are some that may be of particular interest to Millennials: training and development, a promote from within philosophy, tuition reimbursement, and flexible scheduling. Plus, most of our associates are also company owners – so we have shared goals as we complete our daily work. And at Publix, we are committed to sustainable practices and giving back to our communities. The full results of the Fortune Best Workplaces for Millennials are available here. Respecting the dignity of the individual means encouraging others to share their ideas and opinions, and helping them learn from their mistakes. And it’s an essential part of the Publix culture. Diversity Manager Chris Lindo puts processes and programs in place to help make sure that happens. Although his focus is on bringing attention to groups with diverse backgrounds, his goal is for every associate to feel included and respected — regardless of ethnicity, gender, religious or political beliefs, or level of education. In Chris’s experience, people tend to naturally divide themselves into categories like culture or economic status. It’s his job to help bring the Publix family together. He believes through continuing to understand and respect the individual characteristics of one another, our associates will grow and our company will be stronger. After all, our differences only add to the reasons Publix is a great place to work! 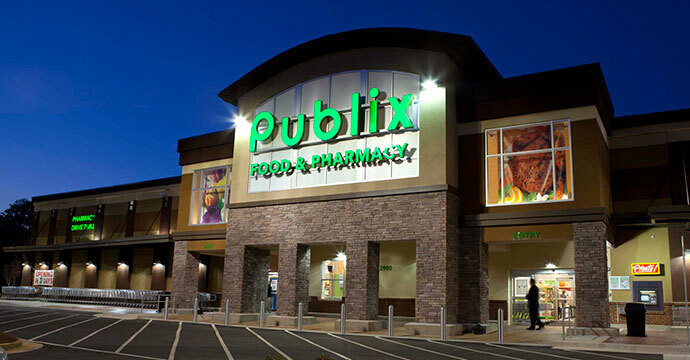 Want to work for Publix, a nationally recognized diverse and inclusive organization? Publix may have a job for you! Employing more than 190,000 associates in seven states, we continue to grow and expand. For a job in one of our stores, visit this page to learn how to apply. For job openings among our corporate, distribution, manufacturing, industrial maintenance or IT areas, start your search here. This is a guest post written by Michele from our Corporate Communications Team. Look for more guest posts in the future!